Recent publications are listed in Dr. Palmer’s CV, and can also be found by searching Pubmed. See here for more information about the NIDA Center of Excellence for GWAS in Outbred Rats. We are interested in the relationship between genes and behavior. By identifying genes that influence behavior we hope to obtain fundamental mechanistic insights into the molecular basis of both health and disease. Our research uses mice, rats and humans in pursuit of these goals. A major focus of our work is on refining methods for genome wide association studies (GWAS) in model organisms. Past efforts to identify chromosomal regions that are associated with behavioral and other traits have used intercrosses (F2s), recombinant inbred (RI) strains and related populations to identify quantitative trait loci (QTLs). While quite successful, these approaches have been unable to map QTLs to intervals that are small enough to permit gene identification. This is because the parental chromosomes have not been sufficiently recombined, so haplotypes are extremely large. To address this problem use we have focused our efforts on populations with greater numbers of recombinations. An advanced intercross line (AIL) is produced by crossing two inbred strains beyond the F2 generation. Our lab maintains a 57th generation AIL that was produced by crossing LG/J and SM/J; we obtained these mice at the 33rd generation from Dr. James Chevrud. Because this population is comprised of only two inbred strains, all alleles are common and all markers that are identical-by-state are necessarily identical-by-descent. We created another AIL using the strains C57BL/6J and DBA/2J, which we have since transferred to several other labs. Another population that we are using is a commercially available outbred mouse population called CFW. These mice are derived from a small number of outbred Swiss-Webster mice and have been maintained for several decades as an outbred population. While not as simple as an AIL, they offer even greater mapping resolution because they have a greater number of accumulated recombinations. 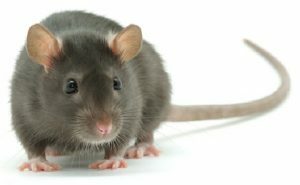 More recently we have expanded our research to include rats, primarily because of their greater behavioral repertoire. This research currently uses both Sprague Dawley rats, which are a commercially available outbred population that is analogous to CFW mice, and the N/NIH heterogeneous stock, which was created by crossing 8 inbred strains in the mid-1980s and is currently maintained by Dr. Leah Solberg Woods at the Medical College of Wisconsin. 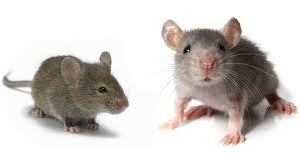 These rats are analogous to the mouse Diversity Outcross (DO). In 2014, we received funding for a NIDA National Center of Excellence (P50) grant that supports the phenotyping and genotyping of approximately 5,000 N/NIH rats. A common challenge for the analysis of these populations is that all subjects have complex and varying levels of relationships to one another. Therefore, we have adapted and developed methods and software for this purpose, including the R package QTLRel. The majority of our research is aimed at behavioral phenotypes. One component of our lab focuses on behaviors that are related to drug abuse. These phenotypes include acute and chronic responses to drugs of abuse and conditioned place preference. We are also interested in behaviors relevant to anxiety, PTSD and depression. Our work has also touched on schizophrenia and ADHD. Genes of particular interest to the lab include casein kinase 1 epsilon (Csnk1e), CUB and Sushi multiple domains 1(Csmd1), Cadherin 13 (Cdh13) and glyoxalase 1 (Glo1). In addition to our behavioral phenotyping, we have formed numerous collaborations with to study physiological phenotypes in the animals, which take advantage of our ability to collect tissues after the conclusion of behavioral testing. Finally, we are also interested in directly studying behavioral phenotypes in human populations. This is a multidisciplinary endeavor that uses the techniques of GWAS to study endophenotypes. We have performed significant research related to genetic factors that influence the subjective response to psychoactive drugs, principally amphetamine. 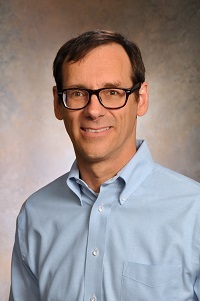 Ongoing work is aimed at examining the genetic basis of impulsive behavior. These projects are collaborations with Dr. Harriet de Wit. We are also collaborating with Dr. John Cacioppo to examine the genetic basis of loneliness. Our laboratory includes various types of trainees: undergraduates, graduate students and postdoctoral fellows. 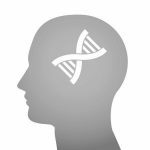 Research projects incorporate both wet and dry lab skills and include individuals with behavioral neuroscience, molecular genetics and statistical genetics backgrounds. More information for those interested in joining the lab is available here.